We- the Indian bloggers- together are no less than a Family and hence very aptly justify the punch line of our beloved Indiblogger that goes as ‘No other place I would rather be’. Calling Indiblogger just a ‘group’ is downright offence to our emotions and attachment towards each other. The only world that describes us precisely is FAMILY. Because it’s in a family only where there is an amalgamation of every kind people and yet we never fail to accept and love each other completely. Where else a shy and reserved girl like me would be accepted so wholeheartedly? 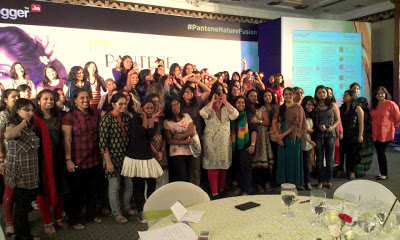 I have always find it difficult to find my own space amidst a large crowd and hence was a bit terrified to be a part of this amazing Pantene Nature Fusion Women's Indiblogger Meet even though it was going to be my 2nd meet. As I have already tasted this vintage wine by attending the Meet sponsored by Dove hence this time the fear was much less but the jitters were still there. But yes then again the excitement to be a part of such a wonderful event never left me alone. Inside my mind the ‘Reserved Me’ and the ‘Excited Me’ were going through a tough battle. Even though the ‘Excited Me’ won the battle, the ‘Reserved Me’ was not ready to let it go that easily and hence I decided to be a part of this Meet only after the ‘30sec of Fame’ part was over. 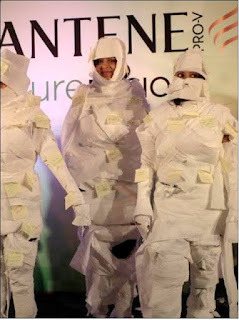 The partner in crime in this atrocious act was none other than my blogger BFF Akanksha. Instead of heading the venue on time we both decided to hit Select City walk instead. After a satiable amount of window shopping and sulking over the fact that we can’t buy anything because of the Shrads, we decided to make a move to ITC Shereton that too only after gorging on junks available in McDonalds. We were already late by an hour or so but were basking in the glory of skipping the intro session. Giggling all the way we finally entered the ‘Ballroom and Dynasty’ and were mesmerized by the breathtaking beauty that was awaiting inside. Large round tables surrounded by comfortable chairs were welcoming us. It was truly a grand affair with beautiful satins and fresh flowers in earthen pots adoring every table. Shades of green and white soothed my eyes and soul instantly. But the excitement that rushed through my body when the blogger friends whom I have only known virtually till then recognized me and asked me to join them, was matchless. I mean I am just an ordinary blogger who does not even blog regularly is recognized by these famous bloggers! And not only that they immediately showered their immense love on me. I was truly touched. Where else this happens? Nowhere else other than in a family called ‘Indiblogger’. What took me and my partner in crime by complete surprise was her name flashing on the big screen. She started her intro and the bigger surprise that was awaiting me was my name flashing below. I was not sure about what to say but the moment I held the mic I felt very much confident and ended up introducing myself very well. 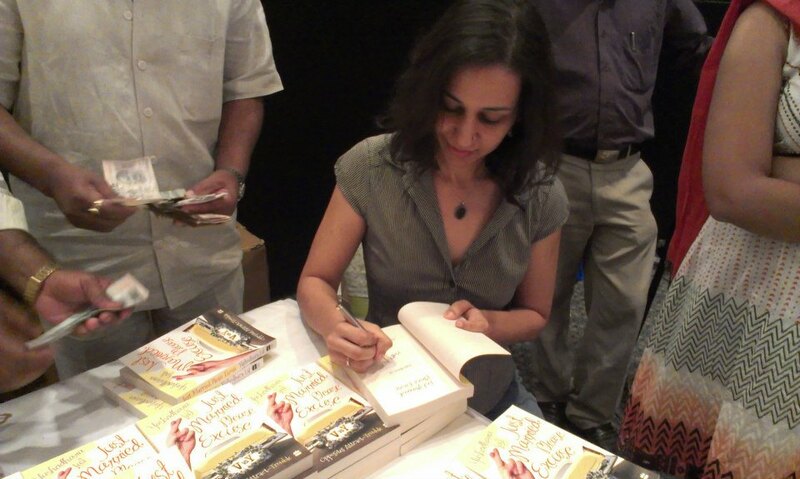 I was also supposed to read one infamous tongue twister ‘Chandu ke chacha ne...’ As a child I have played these games of tongue twisters so much that I was almost an expert in that. It took me by utter surprise to know that I still have that expertise left in me. People around cheered me non-stop and what best, I even won a prize for so accurately reading it. Yay! What a revelation it was! Surprises I tell you, I love them! Lesson Learnt- never underestimate your own self and never try to avoid a situation no matter how difficult it seems. 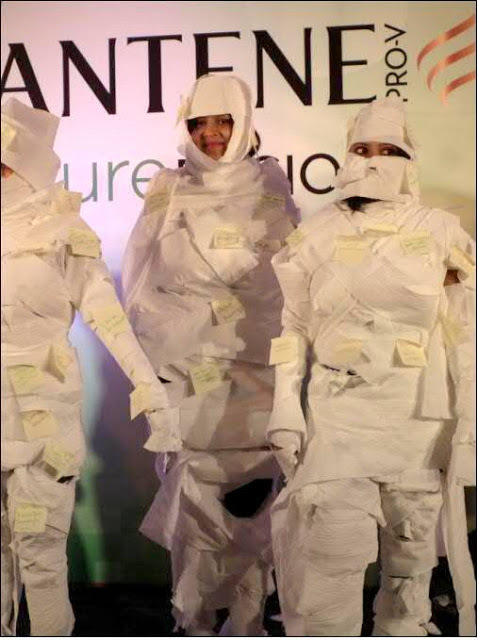 Face it and you would surely emerge as a winner. Moreover you never know what grand surprises await you. Lesson Learnt: In fear when we run away of/from something, we actually miss the many surprise packages filled with joy, laughter, and success, that life throws at us. So be a sport and jump in the game! As always the lunch time was the time to socialize with fellow bloggers and enjoying those endless photo sessions with them. The food, to say the least, was lip-smacking and I was so confused in deciding what to eat and what not to. For me ‘Gulab-Jamun’ was the show-stopper. Indiblogger admins really take great care to help the bloggers network and socialize with each other and hence post lunch they made sure to make each one of us sit in a different table along with different bloggers. This time the game was of decorating a flower bouquet and writing a jingle with five compulsory words provided to us. Along with the flowers and a pot every team got a unique element. The catch was to decorate the bouquet in such a way that our unique element is highlighted. Ours was a candle holder and my team really did a great job. The jingle we came up with is as below. And other teams are turning just GREEN! green! green! CASSIA groomed hair, Olay! olay! olay! Basanti ho ya mausi from SHOLEY! sholey! sholey! We did not win. But the best part of the game for me at least is the fact that I and my team was brave enough to accept the fact that our bouquet was not as great as the others and from the depth of our hearts we appreciated the wonderful bouquets prepared by the other teams. Where else this happens? Probably nowhere other than in a family called 'Indiblogger'. The session with beautiful Dr.Lais Koelle from Pantene who came all the way from Brazil, was thoroughly informative and interesting. You may think that I am lying when I say Cassia has always been one of my favourite flowers. Amaltaas or Shonali phool is what I call it by and have already written several poems and short stories on it. But I never knew it is called cassia in English. Now whenever I wash my hair with Pantene, I feel as if hundreds of Cassia flowers adorn my hair and such a wonderful feeling it sure is. The best information I took back home is that it is absolutely necessary to use the shampoo and the conditioner from the same brand. Earlier I have been very careless about it but not anymore. 1. Decide on the story you have to tell. • Write what you know; write from the heart. 2. Make the ‘Mud’: the biggest enemy towards completion in ‘editing’ in the initial stages. 3. Read a LOT. Write a LOT. 4. It is possible and it can happen for you. 5. Get that fear of rejection out. 6. There is never a dearth of excuse. 8. Reminder- life is short. So better go ahead and just do it. 9. Build a network of supportive people. Once the Meet was heading towards its closure, I finally got my chance to experience the awesomeness called the ‘Hair Spa’. My hair felt tremendously fresh and healthy immediately not only because of the great shampoo but also because of the special treatment given to me by the hair stylists ‘Amandeep’ and ‘Bhawna’. So after some fun-filled games, team activities, graffiti art, excellent lunch, socializing, whacky group photo sessions, and winning some amazing goodies, and collecting our T-shirts, shampoos and a wonderful rice-paper lantern, we the bloggers bid-adieu to each other with the hope of meeting soon again in another wonderful Indiblogger Meet organized nowhere else but saddi Delhi. Indiblogger Admins! Are you guys listening? After all we are a family and no other place we would rather be. Let us have some more fun. Will you please? Soon enough? 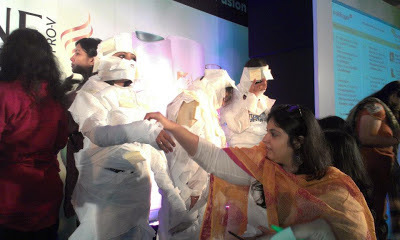 All in all it was an exhilarating experience to be a part of such an wonderful event. It was no less than a crazy roller coaster ride. The Meet concluded leaving behind euphoria in me. I am still basking in its glory and the best part is that the celebration still continues though Facebook, blogs, and in the memories that we created by networking with some amazing bloggers. However, due to my reserved nature I could not go ahead and break-ice with many which I am sure going to do in my very next Indiblogger Meet. Till then, Hip! Hip! Hurray! P.S: Apart from the last photo, no other photos used here are mine. P.P.S: Once again my post has turned out be such a long one. But it was such an eventful day that it was very difficult for me to control my emotions while writing down the experience. 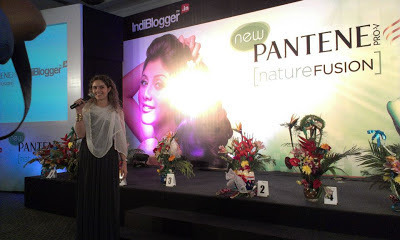 Labels: Blogging, Indiblogger, Indiblogger Meet, Pantene Nature Fusion Women's Indiblogger Meet. 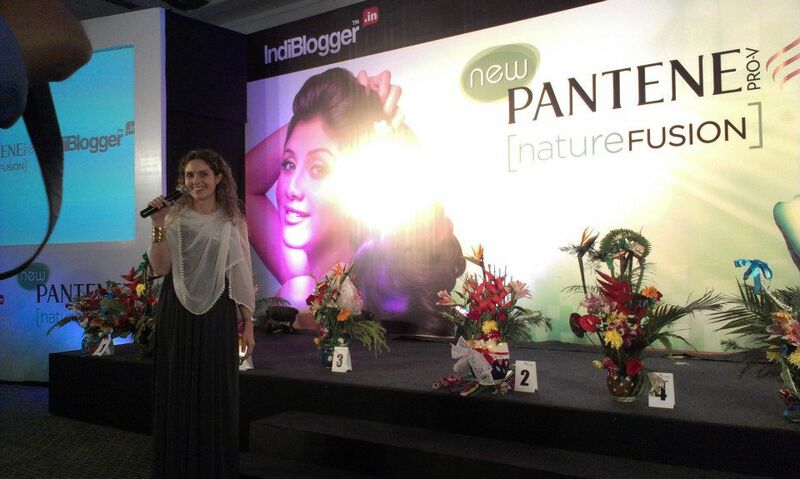 Indibloggers- no other place I rather be - So true!!! It was so much of fun to be there with you. I love the way you have described the whole event - a very refreshing and different outlook ! Also those were some very valuable lessons you learnt weren't they ! And the lessons learnt were truly valuable to the core. Can I join? Ha ha ... How I wish I am one of you!!! It was nice reading that you found a home in Indiblogger where your shyness have been put aside and you really feel like family! I guess you have enjoyed it that much...and yes, are you a Pantene Commercial gorl? What with that beautiful flowing hair you have with natural curls? Love, love it!!! 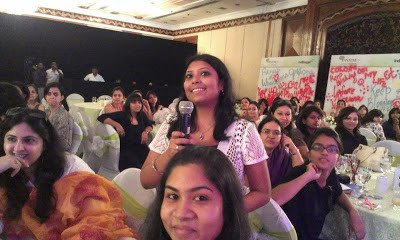 Amity Sis, i so want to be a part of such a blogger meet where i can meet you. It would be so much of fun to finally locate each other amidst hoards of other bloggers. isn't? Yes sis i have enjoyed it a lot. And my my... what a wonderful compliment. See i am beaming with happiness already. :D Thank you so very much. BTW is there any such bloggers meet concept there in your place? if so then never ever miss a chance to be a part of it. This post makes me immersed into it. Awesome post with awesome picture!